And you thought the Europe posts were over. Ha! Today, I wanted to share a few tips for traveling. I actually took all these photos when I was packing for Europe, intending to post them in a scheduled blog post while I was gone. But I changed my mind because if it turned out that the things I did wound up not being conducive to the actual trip, that's something I wanted to include in the blog post. I really wanted to have only one suitcase to worry about on this two week trip. I feel like the less you complicate things, the less likely anything will go wrong. Thus, I don't like checking bags at the airport. I had visions of the airline losing my luggage when we arrived in Scotland and them sending it to us just as we departed for Italy and playing this long game of luggage tag... with us wasting all our foreign currency on clothes and necessities in the meantime. No thank you. And I know your luggage doesn't get lost MOST of the time, but my parents' luggage WAS lost on this trip (luckily on the return flight, where it's not so urgent) and it's not the first time it's happened. So, I had to be efficient! And I had to leave room in my personal bag because that was for my camera, kindle, and travel documents. The most challenging aspect of packing for this trip is that Scotland was cold and Italy was hot, so they required different things! 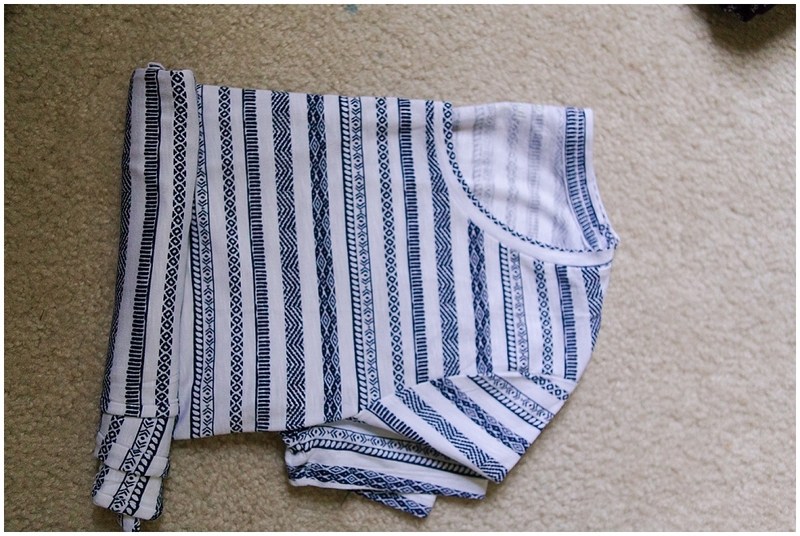 Rolling your clothes really does save you space and keep your clothes from wrinkling. It's also an easy way of seeing what you have without rifling through a stack of carefully folded clothes. I packed mostly light layers for this trip to deal with the different climates of Scotland and the Mediterranean. You can see a black and a white roll on the bottom right of the picture above... those are my neutral layers that can go with anything to add some warmth or coverage when shirts get too see through. Girl problems, I swear. The other point about layering is that you should always wear your thickest layers in the airport. For me, I wore a long sleeved shirt, a warm hoodie, jeans, socks, and tennis shoes at every airport. Those were the items that weighed a lot and took up a lot of space, so they didn't get packed away. My sister-in-law and I were trying to figure out the logistics of packing cubes before we left for this trip. We thought... how could ADDING something to your luggage save you space? But I'm pretty confident now that it does. Something about squeezing your items into these bags and zipping them shut into one neat pack compresses them and makes your space more efficient. Kind of like those vacuum space-saving plastic bags. I used these cubes but I would be really interested to try a smaller version as well to see how that goes. I think you could compress better if the cubes were smaller, but these served me well for my purposes on this trip. I sorted my clothes into "pants," "shirts," and "other" (for bathing suits, underwear, socks, tank tops, etc.). The organization factor alone is pretty handy. As we progressed through our trip, I switched one of the bags to "dirty" so that I could keep my clean and dirty clothes separated. Everything else I brought went into the zipper compartment on the left. The outside pocket of my suitcase was for my travel liquids (shampoo, face wash, etc.) so that I could pull it out easily at airports. I use these bottles and their little companion bottles for traveling because unlike the cheap plastic ones, I can actually squeeze out every drop of product thanks to the silicone material. I think the main thing to keep in mind when you travel is that you don't need a lot. It's nice to have less when you travel. Moving from place to place is easier and you'll be less distracted from the whole reason you traveled in the first place... which was to experience this place not hang out on your laptop. Don't get me wrong, Erik and I enjoyed our recovery downtime in hotel rooms on this trip... but we didn't need a bunch of stuff to do that. 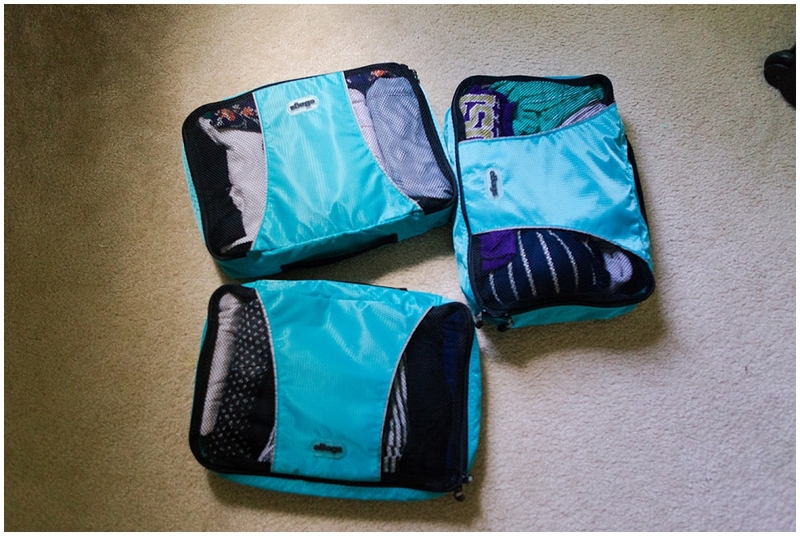 If you have any other packing tips for travelers, please leave them in the comments! I'd love to know any cool tricks you have that I may have missed!